Trio gift box which includes hand Wash, hand Lotion and a bar soap, made in London using high quality natural ingredients. The bottles used are partially made from post consumer plastic and the soaps are wrapped in a biodegradable bio-film. The gift box is presented in a box that is made using 100% recycled paper and are designed to be re-useable but are also 100% recyclable. 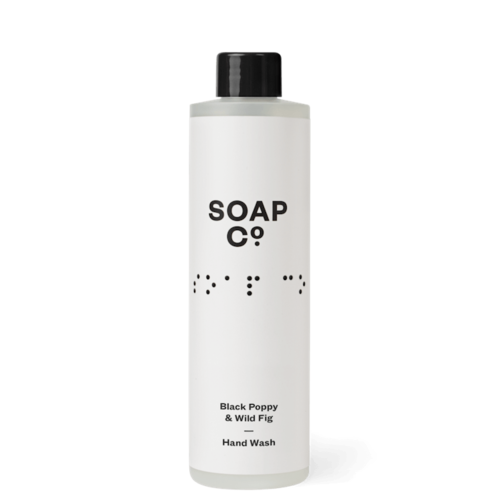 All hand wash and hand lotions have added Aloe vera and tea tree oil which have healing and soothing properties alongside pro-vitamin B5 for hydration and cocoa butter for added moisturising effect. Black Poppy & Wild Fig - Olea Europaea Fruit Oil (Olive Oil)*, Cocos Nucifera Oil (Coconut Oil)*, Elaeis Guineesis Oil (sustainable Palm Oil)*, Aqua (Distilled Water from the Lake District), Sodium Hydroxide (Lye), Theobroma Cacao Seed Butter (Cocoa Butter), Parfum (Fragrance with Natural Oils)*, Papaver Somniferum Seed (Poppy Seed), Panthanol (Provitamin B5). Citrus - Olea Europaea Fruit Oil (Olive Oil)*, Cocos Nucifera Oil (Coconut Oil)*, Elaeis Guineesis Oil (sustainable Palm Oil)*, Aqua (Distilled Water from the Lake District), Sodium Hydroxide (Lye), Theobroma Cacao Seed Butter (Cocoa Butter), Citrus Lemon Peel, Parfum (Fragrance with Natural Oils)*, Limonene*, Panthanol (Provitamin B5). White Tea - Olea Europaea Fruit Oil (Olive Oil)*, Cocos Nucifera Oil (Coconut Oil)*, Elaeis Guineesis Oil (sustainable Palm Oil)*, Aqua (Distilled Water from the Lake District), Sodium Hydroxide (Lye), Theobroma Cacao Seed Butter (Cocoa Butter), Parfum (Fragrance), Panthanol (Provitamin B5). Product Packaging - Each bottle is made in the UK from high-density polyethylene (HDPE) with 25% post consumer regrind HDPE. When compared to PET bottles, normal HDPE bottles release 37% less carbon. Soap Co. have made sure 25% of our HDPE is sourced from “post consumer regrind” (PCR) which allows your old milk bottles to be reused to make our bottles and then fully recycled into more bottles in the future. Using this PCR material allows a further 10% reduction in carbon meaning our bottles have around 45% lower environmental impact than regular PET bottles. 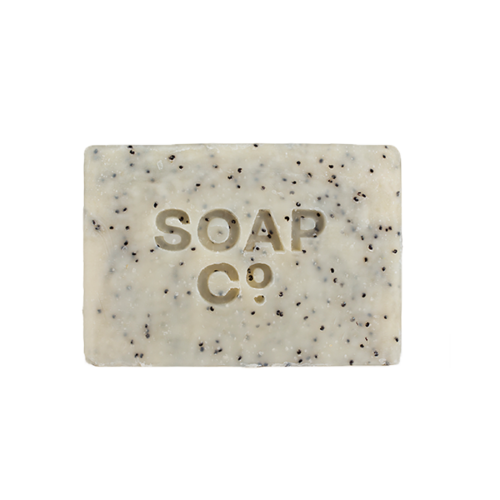 The soaps are wrapped in 100% recycled paper and compostable bio-film which is sourced from renewable resources.